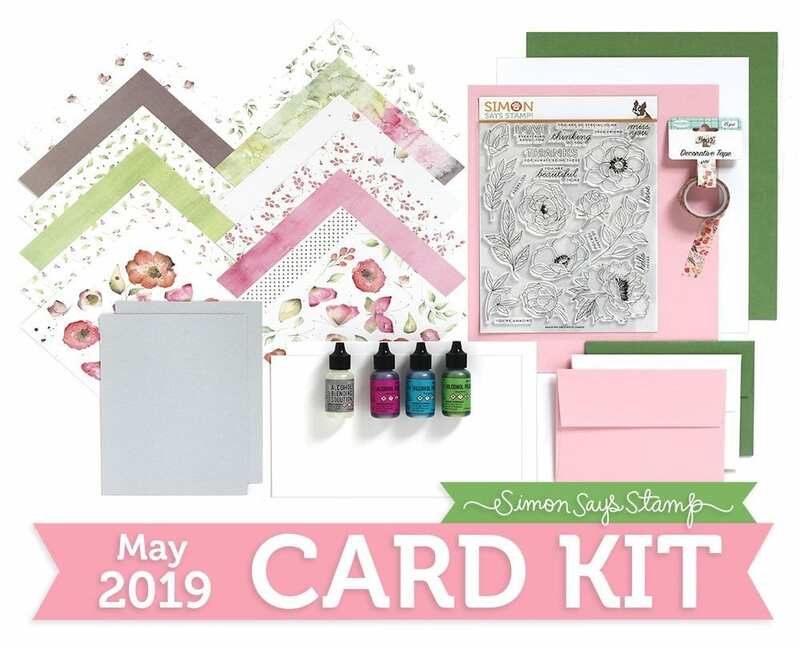 The 14th of the month means it is time for the latest card kit from Simon Says Stamp and the May kit is filled with great products for techniques as well as a stunning stamp set! I’ve linked all supplies at the end of this post. Compensated affiliate links used where possible at no cost to you. 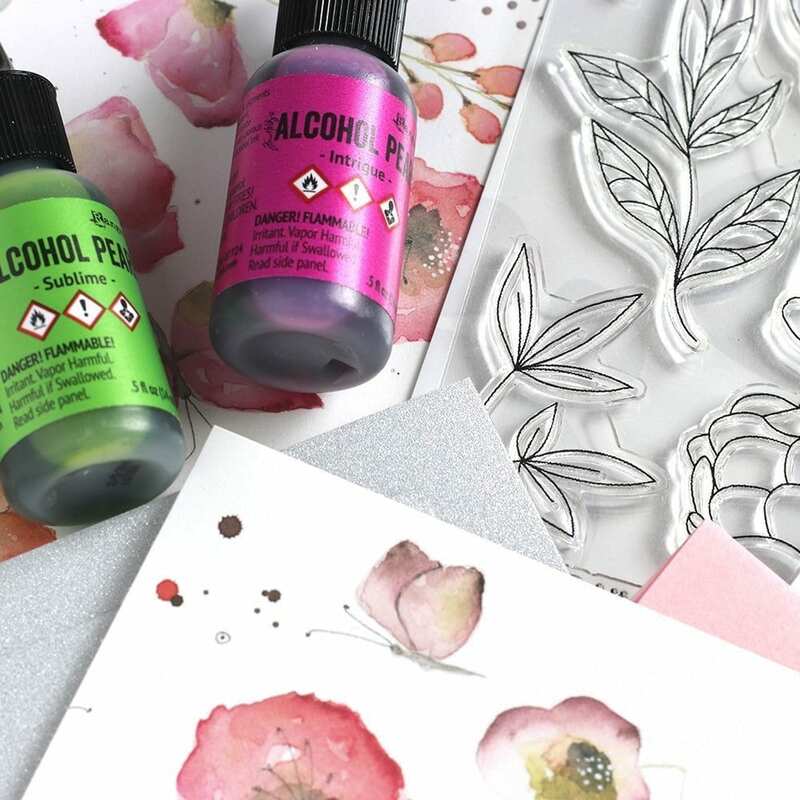 Yes, you read that right, the May Card Kit contains three of the new Alcohol Pearls Ink from Tim Holtz as well as a bottle of Blending Solution. I took one of the pieces of Yupo paper included in the kit, cut it in half and had great fun with the alcohol inks! I squirted some of the Blending Solution onto the Yupo paper first (it gives a base for soft colour blends) and then added drops of Tranquil and Sublime Alcohol Pearls Inks. I kept alternating between the inks and the blending solution until I had a fun background. 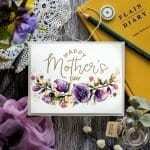 I debated whether to stamp images from the beautiful Delicate Flowers set directly onto the background but felt the fine lines of the images might get lost on the busy background. So I stamped the images on vellum with clear embossing ink, white heat embossed and then trimmed around them. Having the images on vellum helps them to stand out more from the background. I added small pieces of foam tape behind the embossed lines and then adhered the vellum flowers and leaves over the alcohol pearls background. 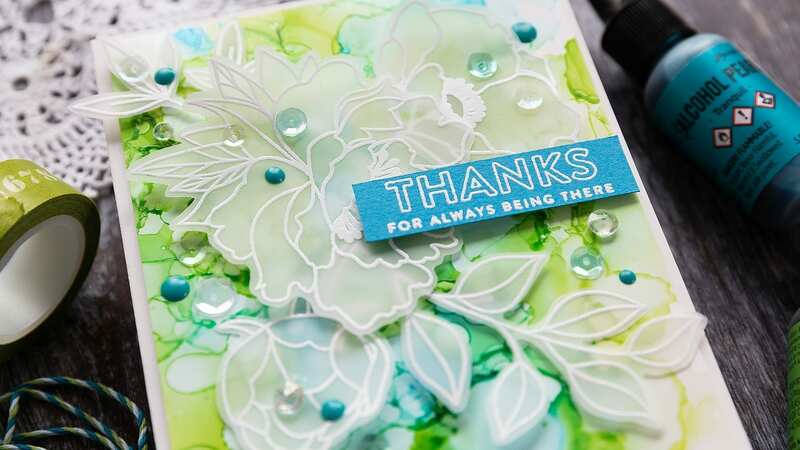 For the sentiment, I stamped a greeting from the Delicate Flowers set in clear embossing ink on Island Blue card and white heat embossed, trimmed to a banner and added over the vellum flowers with foam tape. I added the background panel to a white card base and then accented with Enchanting sequins, Opalescent Diamonds and Bohemian Teal droplets. This card turned out to be a bright, happy mix of spring-like greens and blues and the vibrant hues make a nice change from my usual more muted palette. Don’t get me wrong though; I still have an intense craving to stamp out some of the Delicate Flowers and softly watercolour them! WOW! Beautiful card. The kit is fantastic.thank you for the great tips. love those vellum flowers on the background! my faves – green and blue! Wow! 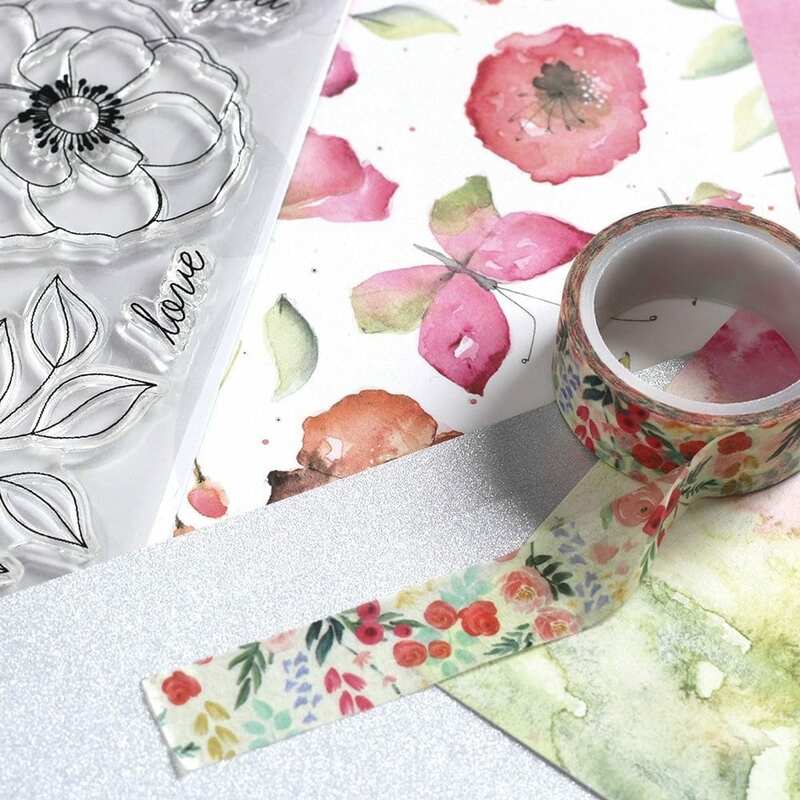 Gorgeous, I love the white embossed vellum flowers! Lovely, just lovely. I love the design. Thank you so much for the idea! After seeing your project, I decided to order my first kit from SSS. The stamp set and patterned papers are lovely.